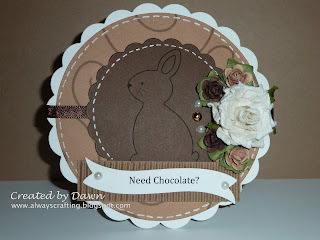 One Stop Craft Challenge is having a Chocolate Challenge this week. What could be a more appropriate challenge for this week with Easter almost here! So please head over to their blog and enter your chocolate creations here! The image on this card is from Whimsie Doodles.